The co-founder and director of a nationally recognised brokerage has issued a warning to his peers after being a witness in an ASIC investigation into misconduct. 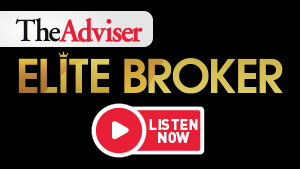 Speaking to The Adviser, Graeme Holm, co-founder and director of mortgage brokerage Infinity Group, has urged brokers to be “very careful” about who they choose to conduct business with, drawing from his experience as a whistle-blower during an investigation by the Australian Securities and Investments Commission (ASIC) into loan fraud involving brokers. In 2016, Mr Holm was approached by the corporate regulator to assist in its investigation of the brokers, who he had dealt with in his former role as a Westpac bank manager. Mr Holm cooperated with ASIC, despite being advised by his lawyer to turn down the corporate regulator’s request. The brokerage director told The Adviser that he felt “compelled” to assist ASIC, who had frozen his files during its audit of Mr Holm’s business. “Firstly, I thought it was the right thing to do, all I could do was tell the truth about what I knew, and I don't see why [telling the truth] should be an issue,” he said. Following the completion of the investigation, which led to the permanent banning of one mortgage broker and a three-year suspension of another, Mr Holm, whose identity was exposed despite requesting anonymity, was subjected to online abuse, which he said almost put him out of business. When asked what advice he would offer to brokers and others placed in a similar situation, Mr Holm said: “I think the key would be ensuring you’ve done detailed and thorough checks on any potential people you do business with. The award-winning mortgage broker called for greater protection of whistle-blowers, with most people feeling “compelled to do the right thing”.